Autumn, also known as fall, is one of the best seasons for family bonding time. Who doesn’t love the calming cool breeze, the shedded orange leaves adorning the streets and wearing cozy sweaters? Autumn is unanimously associated with Halloween, and no Halloween is complete without carved pumpkins. 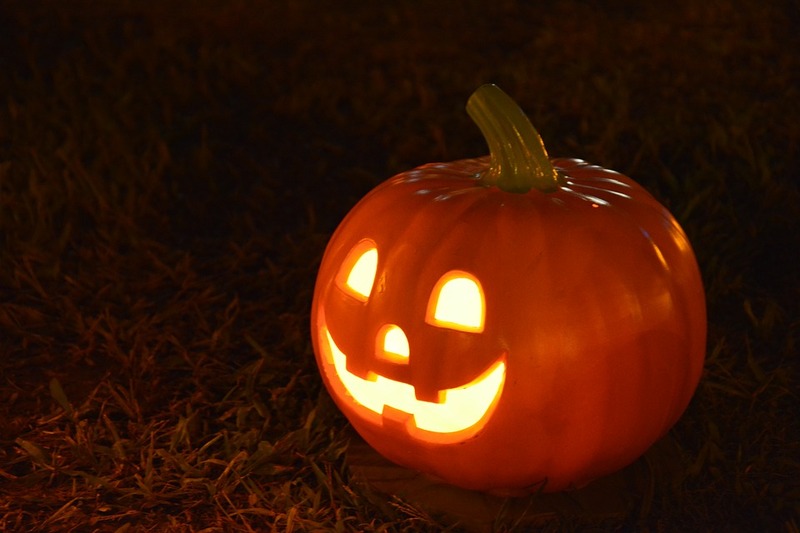 Help your child carve out the insides of a small pumpkin with a spoon and use a knife to carve out the details yourself. Add a sweet touch to your fall activities by baking pumpkin pie (or any other pumpkin dessert) together. Your child will definitely enjoy preparing it and eating it with you. Trees shed leaves in various shades of red, orange, yellow and the best way to be creative with these leaves is to make art with them. You can decorate glass jars with leaves, or even make animals out of them. You can also decorate your wall with such vibrant leaves. The ideas are endless! Your child will be ecstatic to join you to paint his/her bedroom walls in radiant colors. This is a fun way to incorporate bonding time with painting and will give your bedroom a nice makeover. A pumpkin patch is beautiful place for taking family pictures and for your child to play! If you wish, you can also hire a photographer so that you can have candid photos of your kid having a great time with family. Going on a hayride is very exciting for children as well as adults. Take a delightful ride in an open truck or a wagon decorated with hay but make sure your child is not allergic to hay beforehand. As winter slowly approaches, you can revel in some much-needed warmth by sitting around a bonfire. Help your kids roast the marshmallows carefully and enjoy the delectable flavor together. What is fall without Halloween? It is surely the best time to dress up in quirky outfits. You can also recreate your favorite Disney movie characters with your young one. 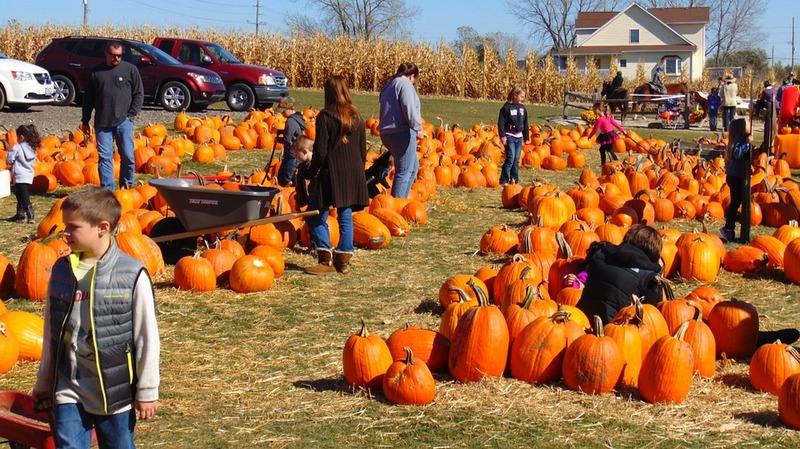 Involve some kids from the neighborhood in a fall-specific scavenger hunt. Be creative with the list and watch as little kids run around searching for those items. This is a unique way to liven up your child’s outdoor play time. 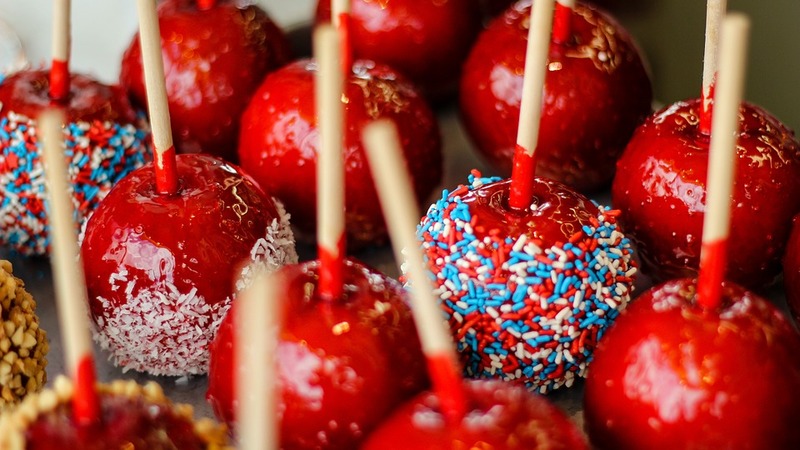 Candy apples (or toffee apples) are super popular during autumn. Making them is incredibly easy and you can even get crazy with sprinkles, chocolate chips and chocolate sauce. Make a scrapbook with your child, filling it with pictures, drawings and other artworks. This will serve as a great way to save your memories in an artistic form. Give your children the freedom to decorate the scrapbook however they want! Finally, enjoy the fall season by jumping into a big pile of leaves with your little one, which is sure to make their giggles turn into outright laughter.